Brilliant Cut Diamond Ring With Six Claws Set Centre Stone. 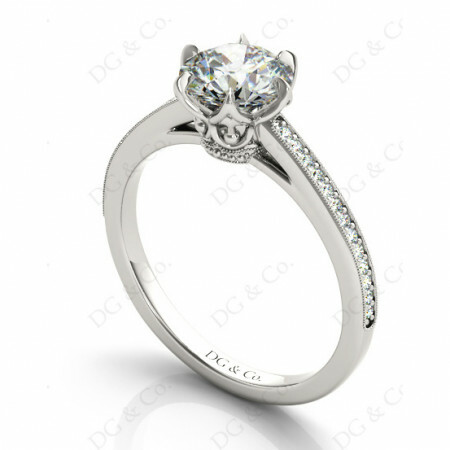 Diamond Engagement Ring with Brilliant cut diamond six claws set in the centre and twenty-six round diamonds Milgrain setting in to the shoulders. 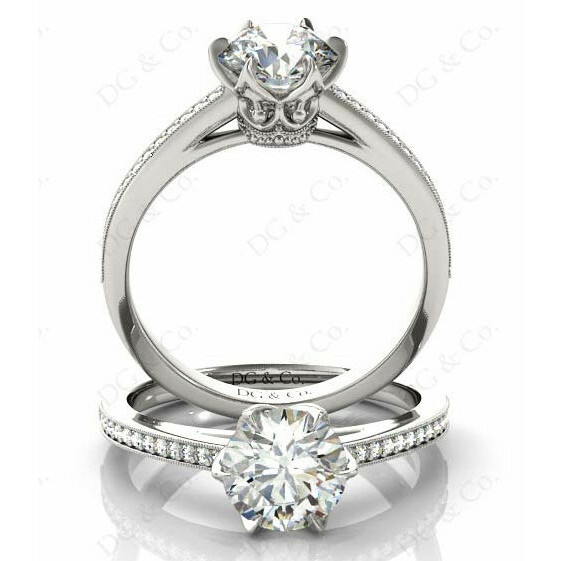 You're reviewing: Brilliant Cut Diamond Ring With Six Claws Set Centre Stone.